With the Elite Ti2, you get more advanced fishfinding features and connectivity, without the premium price. From high-detail Active Imaging™ sonar, FishReveal™, built-in Genesis Live real-time mapping and enhanced screen clarity and target separation to features that make your life easier on the water, like an easy-to-use touchscreen, wireless networking, smartphone notifications and trolling motor/Power Pole® integration – Elite Ti2 was designed to help you have an easier time finding fish. Elite Ti2 delivers more powerful navigation features with preloaded C-MAP® US Inland mapping, C-MAP Easy Routing + Navionics® Autorouting and Genesis Live real-time mapping. You will have a much easier time targeting key areas with US Inland fishing map that features 1-foot contours on more than 4,000 lakes. 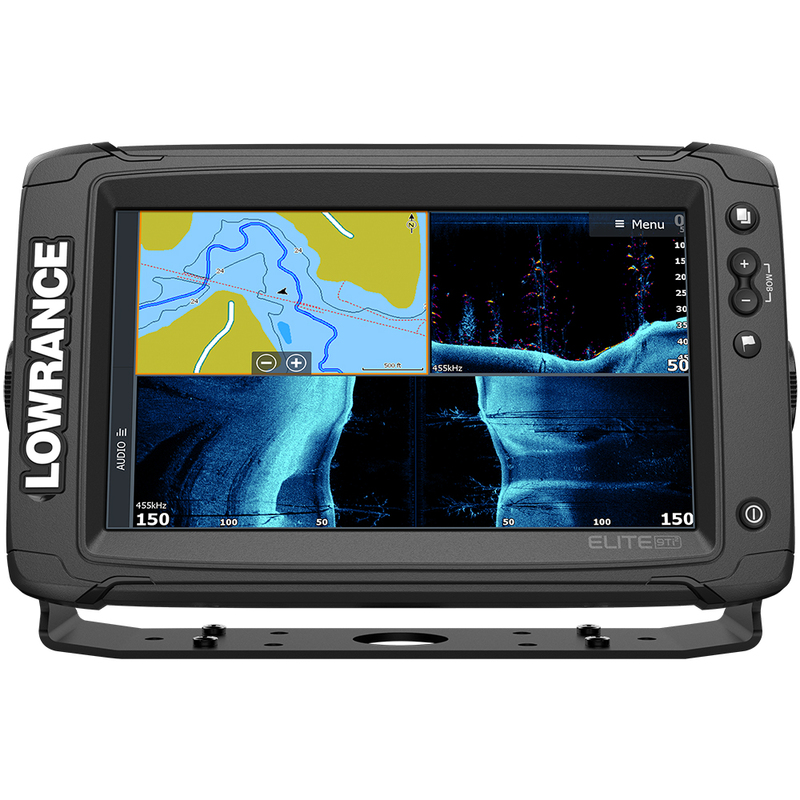 If you would rather create your own maps of a favorite fishing spot or a lake without detailed mapping, take advantage of the built-in Genesis Live real-time mapping capability to create your own, exclusive ½-foot contour maps live on the screen of your Elite Ti2 display. The Elite Ti2 wireless networking allows you to share sonar, waypoint and route data wirelessly between Elite Ti2 displays, removing the need to run cable. With new smartphone notification capability built into Elite Ti2, you can keep your eyes on the fish and never miss another text or call; or turn off notifications for uninterrupted fishing.